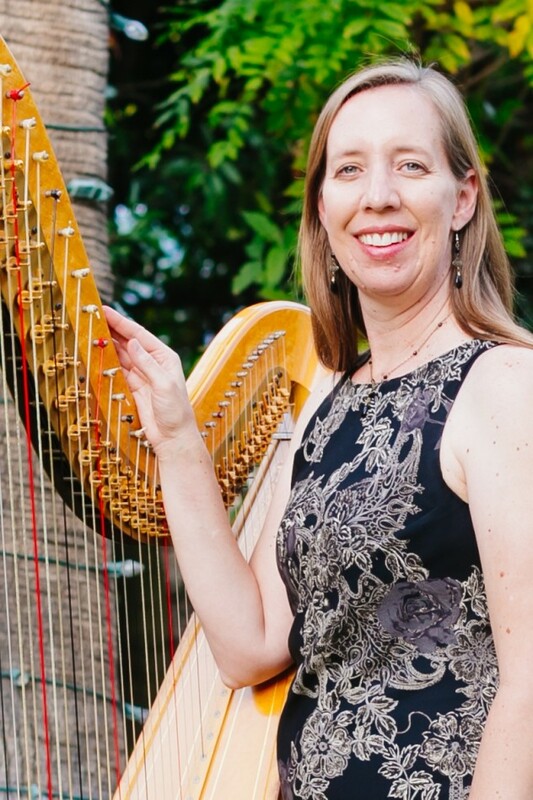 Laura Griffin-Casey, a native Southern Californian, has more than thirty years of harp performance experience. Laura received her Bachelor of Music degree in Harp Performance from the University of Southern California, studying with JoAnn Turovsky. She also attended master classes with Susann McDonald. Laura has a strong history in classical orchestral and opera performance. She has also performed in a variety of concerts with the following organizations: Christmas Is… (annual Citrus College program, 2005-present), The Light in the Piazza at the Covina Center for the Performing Arts, the Redlands Symphony, The Fantastiks at Chaffey College, the Ventura County Symphony (principal harpist 1990 – 1995), the Pacific Symphony Orchestra, the Los Angeles Chamber Orchestra, and Elektra with the Los Angeles Music Center Opera Orchestra. Some of the most outstanding opportunities that Laura has had include performing with Frank Sinatra, Jr. for two weeks in Laughlin, Nevada; working with Michael Kamen, composer and conductor, in recording the harp passages for the Academy Award nominated film Mr. Holland’s Opus; accompanying a children’s choir at John Tesh and Connie Selleca’s wedding; touring Italy with the American Youth Symphony; and performing in the premiere of Karel Husa’s Cello Concerto in Washington D.C.’s Kennedy Center with Daniel Lewis, Lynn Harrell, and the USC Symphony.